It’s Kimberly with Get Away Today, here to talk to you about the Disneyland Resort. Since its humble beginnings, Disneyland has never stopped creating and innovating. As Walt Disney said, “Disneyland will never be completed as long as there is imagination left in the world.” Over the past few years, we’ve been able to see this imagination come to life with new attractions, lands and new features like MaxPass. Today, I’m here to talk to you about Disneyland’s newest upgrade: Mobile Ordering. If you’re anything like me, my three favorite things in life are food, convenience and a trip to The Happiest Place on Earth. Mobile Ordering combines all three! Keep reading to find out how to use Mobile Ordering at Disneyland. Mobile Ordering is Disney’s newest feature that allows guests to order food and beverages directly from their smart phone. No more waiting in long lines for your favorite snacks, treats and eats at some of your favorite restaurants! Much like MaxPass, Mobile Ordering will save you precious time while you’re at the resort, so you can do more of what you enjoy. The best part? Mobile Ordering is completely free to use for every guest at the Disneyland Resort. How do I use Mobile Ordering? The Disneyland mobile app is your key to Mobile Ordering. If you’re already familiar with the app, using this new feature should be easy. Here is a step-by-step guide for first-timers. Download the official Disneyland app. Log in or sign up for your free Disney account. You will need to input your credit card information to use the Mobile Ordering feature. The card you input will be charged when you place an order. Click on the My Plans tab. Under My Plans, you’ll see an Order Food option. You’ll see the available restaurants, menus and pick-up times. Choose your restaurant and pick-up time, then place your order. Once your pick-up time nears, head for the restaurant. Check-in on the app when you arrive. This notifies the restaurant that you’re there. They will then start cooking your order, so it’s fresh and ready to go within a couple of minutes. Pick up your food at the Mobile Ordering window. It’s as easy (and delicious) as that! Where can I use Mobile Ordering? When can I use Mobile Ordering? Since each restaurant won’t start cooking your food until you check-in electronically, you can place your order as early as you like after you arrive in the parks. I recommend placing your order as soon as possible, so time slots don’t fill up. Ordering in advance is a great way to keep a schedule while you’re at the park, and beat the crowds at mealtimes. If you do order well in advance, set an alarm on your phone so you don’t forget to go pick up your food. Disneyland continues to keep making The Happiest Place on Earth even happier by improving the guest experience. If you’re thinking about booking a Disneyland vacation, check out our Disneyland packages at getawaytoday.com or call any of our reservation agents at 855-GET-AWAY. 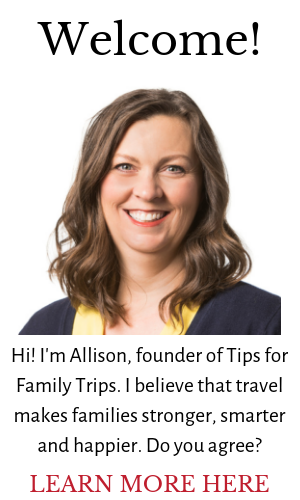 Read more about Tips for Family Trips’ partnership with Get Away Today here. Want more Disneyland tips? Check out our Theme Parks page or our Disney Tips for Families Pinterest board.